For companies that manage clinical trials, the importance of SEO is becoming very apparent. SEO is Search Engine Optimization which is a method of getting websites to rank in search engines. Healthcare research companies are finding that they can find volunteers quickly by using the Internet and are working to maximize this technique. The Pew Research Center’s Internet and American Life Project states that 80% of internet users, or 59% of U.S. adults, look online for health information. Many of these people are searching for clinical trials or research being done on a variety of illnesses from diabetes, ADHD, Alzheimer’s, to different forms of cancers. These trials are sponsored by drug companies, private entities, or the government to come up with improved treatments for these diseases and many others. For many, clinical trials are a glimmer of hope in battling their diseases. In the past, it was more difficult for those operating clinical trials to find all of their subjects using traditional means of newspaper advertisements and phone calls. Often, the protocol or plan for a trial calls for very precise characteristics for potential volunteers. Every study is different and can cater to specific age groups, weight groups, different genders, or even a combination of all three. This can make the enrollment process even more difficult. Now, with the Internet, qualified SEO consultant companies can bring interested people directly to clinical trial websites. So how does SEO help? Many clinical trial and healthcare companies are using the services of SEO consultants or Internet marketers to attract potential patients. Depending on the various trials they are running at any given time, the content of their websites can be tailored to bring very specific or niche visitors to their site. This is done through the use of keywords or keyword phrases. 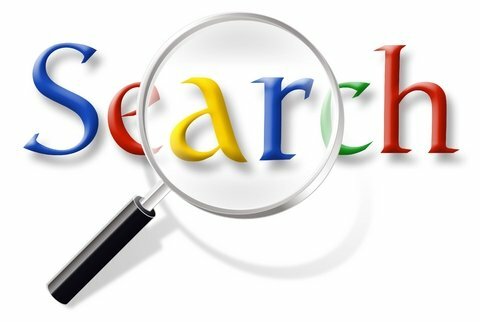 Working with a keyword search tool, SEO consultants help clinical trial companies determine the best keywords to target. Then they will have their content developers create content around those keywords. In dealing with SEO, they have to be concerned with things like proper placement of keywords, tags, and titles which are all crucial to a successful campaign. In addition to SEO, many clinical trial companies are taking advantage of large social networks to get the word out about their specific clinical trials. There are even social networks that revolve around specific healthcare concerns. Internet marketing firms also help in this area with creating pages on the major social networking sites like Facebook and Twitter. Then they can also update and create new and interesting content to keep users coming back. Local-One is an Internet consultant firm that has been helping clinical trial companies meet their volunteer demands through the use of SEO. We have also assisted other healthcare businesses such as doctors and dentists to increase customers. Our goal is bring targeted visitors to your site using our extensive knowledge of SEO, local SEO, and Internet marketing. We can help your company too. Contact us today for a free report on how using Local-One can be beneficial to your bottom line.